Anyone who knows me well knows that I love my tea. I enjoy a great many varieties, and whilst I do have my old favourites, I’m not averse to experimenting and finding ones I’ve never tried. 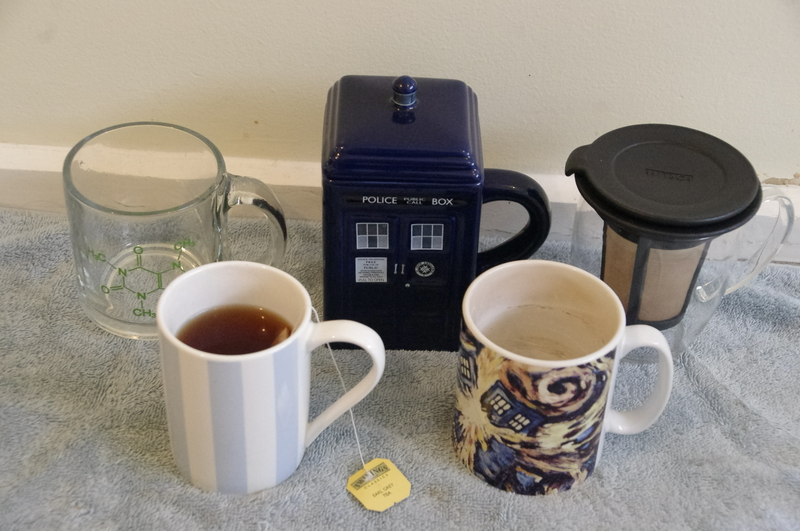 In my cupboard at this moment are the following varieties of tea: Melbourne breakfast, French Earl Grey, Lady Grey, peppermint, white jasmine, Earl Grey, English breakfast, Australian afternoon, Russian caravan, Brisbane breakfast, and one or two others. I’m also what you might call a tea purist: I take all my teas without milk or sugar. I used to think it was very odd for somebody to dislike tea. All tea, tea in general, any tea. And then I had a revelation: one of the most commonly available and aggressively marketed tea brands is Lipton. And of course if Lipton is the one you try first, you’re going to dislike it. Lipton tea is awful. It would naturally give the entire beverage a bad name, and would put you off trying others. So if you’re out there, reading this, and you’ve only tried Lipton tea and didn’t like it, do me a favour: try another tea. 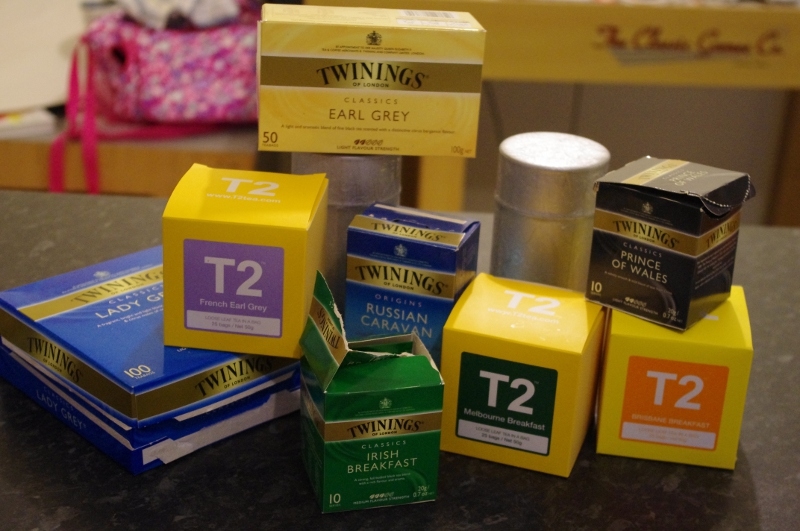 Twinings, for preference; I find Twinings Earl Grey to be a very palatable tea, soft and easy to drink, with none of that tannin bitterness to it. If you don’t fancy that idea, wander into T2 or Teavana or whatever you’ve got in your part of the world. Have a look, have a sniff. If you ask nicely, they’ll often brew you a tea you’re interested in to taste. Explore the vast and endlessly fascinating world of tea! Best of luck in your adventures. 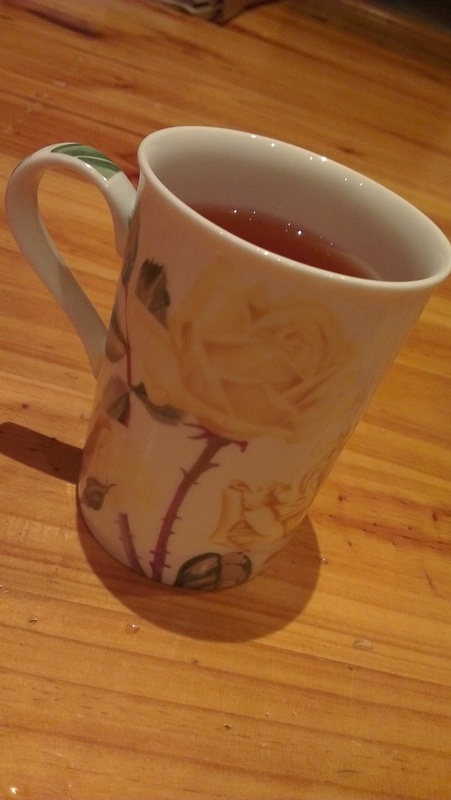 I hope you return to my blog a convert, or at least less stridently anti-tea than you might have been before! It’s a chilly Autumn morning in Melbourne. There’s scarcely a breath of wind. The heater is on, and besides the sound of hot air rushing through vents, my house is filled with silence. My husband sleeps, having worked the night shift last night. The baby enjoys her morning nap in utter stillness. Usually a toddler would be running around right now, talking and singing and making up words, but today even that noise is absent. She holidays with my parents. I try to fill the space with study; I have an essay due at the end of the week, and this was partially the purpose of Elspeth’s holiday. To study, I need tea. The click of the kettle as it reaches the boil sounds ridiculously loud today. Even as I know that my husband can sleep through the usual baby and toddler sounds, I wonder if that little click disturbed his slumber. I always get a feeling of triumph from actually drinking the first cup of tea I make in the morning. All too often it is forgotten, left to go tepid on the bench, as I attend to the various wants of my children. But today I get to drink it while it is still piping hot. As I sip my expensive tea, and read about disastrous famines in Europe in the twelfth century, I wonder if I have enough gluten free bread left to make a nice cooked breakfast – poached eggs on toast, maybe. But even as the thought enters my mind, the baby stirs. My peace is gone, obliterated, and I put my Mummy persona back on like a mask. Who’s my beautiful girl, then? Did you have a nice nap? Oh yes, I think you did! Come to mummy! English breakfast, Irish breakfast, Melbourne breakfast, Brisbane breakfast, Prince of Wales, Russian caravan, Earl Grey, Lady Grey, peppermint, white jasmine, French Earl Grey, white tea, green tea, green with jasmine, traditional afternoon tea.